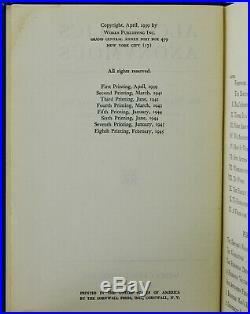 First Edition, Eighth Printing Signed by Bill Wilson. 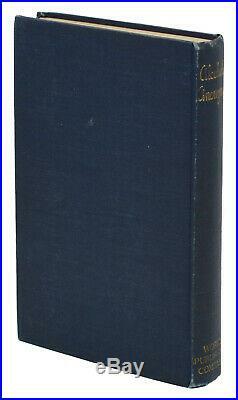 New York: Works Publishing, Inc. 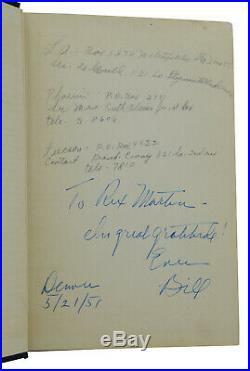 Signed by Bill Wilson and inscribed to a former owner on the front free end paper. 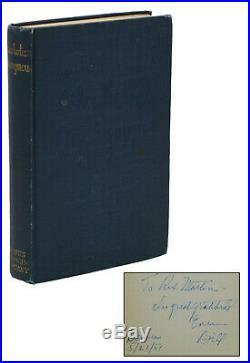 Bound in publisher's dark blue cloth with title stamped in blind on the front cover and in gilt on the spine; lacking the dust jacket. Cloth lightly rubbed at corners and spine ends, lightly rubbed, and with a few small stains and a small crease to the bottom of the front board. Previous owner name to front paste down, and several notations written in pencil on the front free end paper. 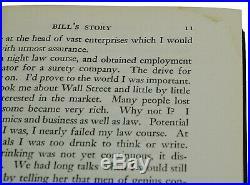 Light tidemark to top corner of text block, affecting margins in varying degrees throughout. 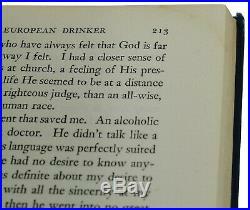 A nice copy, signed by the co-founder of Alcoholics Anonymous, Bill W. The item "Alcoholics Anonymous AA Big Book SIGNED by BILL WILSON First Edition 8th Print" is in sale since Saturday, March 30, 2019.